Current International Telecommunication Union (ITU) specifications for 5G specify a total download capacity of at least 20Gbps and 10Gbps uplink per mobile base station. In contrast, the peak data rate for current LTE cells is about 1Gbps. Under ideal circumstances, 5G networks will offer users a maximum latency of just 4ms, down from about 20ms on LTE 4G networks. The 5G specification also calls for a latency of just 1ms for a stepped up service called ultra-reliable low latency communications (URLLC). In support of the Internet of Things, 5G must also support at least 1 million connected devices per square kilometer (0.38 square miles). This may seem like a lot but when every traffic light, parking space, and vehicle is 5G-enabled, we'll easily start to hit that kind of connection density and will see 5G towers on places like major highways every 100 feet or so. 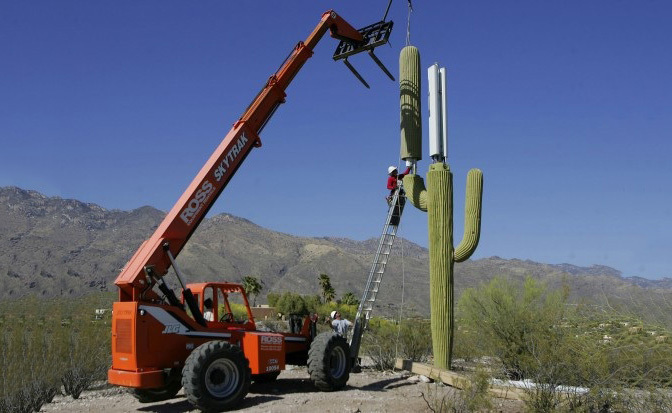 How is connectivity delivered these days to wireless towers, and how will it be delivered in the future? Fiber! 5G networks will be predominantly fiber-based due to the combination of tower capacity and distance requirements. We will see limited microwave antennas used in niche cases when fiber is not an option. Technicians will need to have a good understanding of fiber characterization testing and troubleshooting as these super-fast high capacity networks roll out. In addition, skills in troubleshooting dirty or damaged connectors, tight fiber bends, faulty fiber splices, Optical Time Domain Reflectometry (OTDR), attenuation, and chromatic and polarization mode dispersion will become even more critical. Fiber to the tower is a critical enabler of 5G wireless services including The Internet of Things. For more information see Preparing the Transport Network for 5G: The Future Is Fiber and check out the rest of the OP-TEC August 2017 edition and previous monthly newsletters here. Very interesting information about wireless technology.